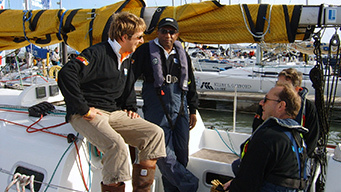 Client Yacht Sailing Day Charters with our professional Skippers are for sailors or non-sailors. 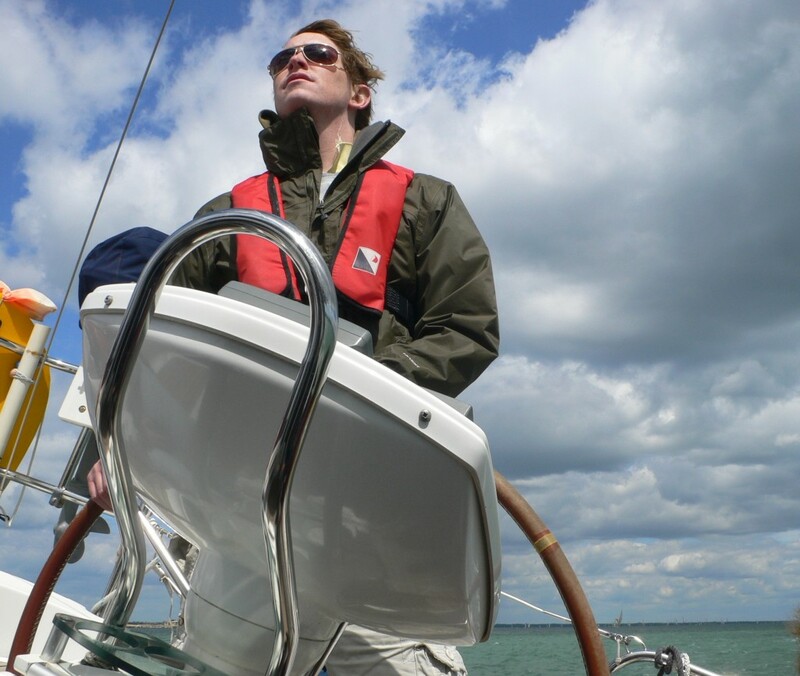 We can provide anything from a gentle sailing cruise around the Solent to entertain clients, to sail training days in which everyone is fully involved aboard the yacht. 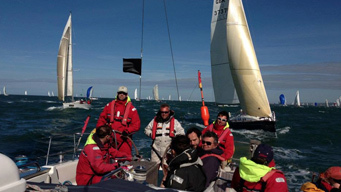 For yacht spectator days there are many different events and regattas going on in the Solent and we can make sure that we get close up to the spectacle on the water – it is exciting! 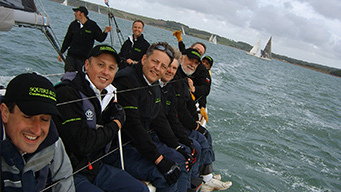 Check out our specific Cowes Week Regatta Spectator Days. Client yacht sailing day charters with your own professional Skipper are an effective time spent with your customers aboard enjoying the experience of sailing, taking part as much or as little in the running of the boat as you would like. We welcome people becoming involved but if the mood doesn’t strike you… or business is being discussed… we will handle all aspects of the sailing, your comfort, and catering. We can stop for lunch in a bay or you can opt to go ashore to a restaurant or pub. We can add a hostess / mate to provide a greater degree of attendance to your clients needs or assistance in teaching.  We offer these days on yachts ranging from 36 – 51 feet. Take multiple boats for your group size and we will co-ordinate your day. Making your client yacht sailing activity day a success is our absolute priority. 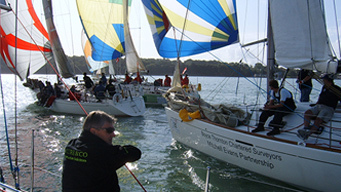 We ensure that we maintain close contact with your designated co-coordinator within your business and take the strain out of the organisation for this yacht sailing event on your behalf. Whether you want a small scale event and just one yacht or multiple sailing yachts where we moor together at lunch, we offer all the below, so that you can relax and concentrate on your clients needs. Discuss you catering budget with us and we will cater accordingly. If you want to experience an overnight on board or have more than 1 night with shore side accommodation please ask for details. To view an example itinerary for corporate team building events, please click below. This is just used as a guide, we can tailor each event to meet a companies individual needs and requirements. Meet our staff at our designated ‘meet and greet area’ at MDL’s Mercury Yacht Harbour where there is ample free parking and excellent marina facilities. 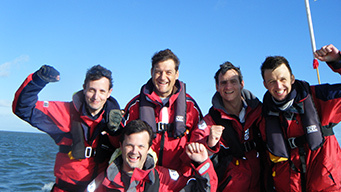 Meet your yacht Skippers and we issue wet weather clothing as required. Any early arrivals can have breakfast or coffee locally in the village (just a mile down the road) where there are cafes and bars overlooking the River Hamble. We then allocate yachts and give a comprehensive safety brief before slipping moorings and you can enjoy the beauty of the river Hamble slipping quickly into Southampton Water past Calshot Spit into the middle of the Solent opposite Cowes on the Isle of Wight. There is a fantastic amount and array of interesting sights to see in addition to the task of learning to sail. Those wishing to be fully involved will be helming (steering) from the moment that we leave our berth. 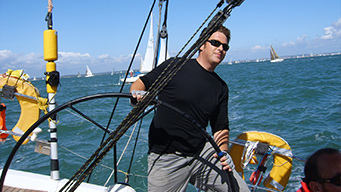 We then teach you to sail, giving all on board the chance to take a full and active role in all aspects of sailing the yacht including helming, sail trimming and navigation. We may stop for lunch in a picturesque bay, river or harbour depending upon your catering requirements. We will keep you ‘fed and watered’ on board with snacks and drinks throughout the day.